MCC bounced back on Day Three of the Champion County fixture at the ICC Academy in Dubai, after a century from Warwickshire’s Dom Sibley helped them claw their way back in to the match. A 190 run opening stand by Will Rhodes and Sibley saw MCC finish the day on 221 for 1, trailing by just 34 runs. Earlier, Surrey had started the day well as they set about building a big lead. Ollie Pope and Jamie Smith stretched their fifth wicket partnership to 266 before the latter was dismissed on 127, caught by Rhodes off the bowling of skipper Stuart Broad. Pope’s sensational innings finally came to an end with Surrey on cruising at 489 for 6, but not before the English international had notched up a score of 251 off just 297 balls. He was dismissed when he was caught by Sibley off the bowling of Rhodes as MCC’s opening batsmen linked up with the ball. From there onwards, MCC had their tails up and efficiently cleaned up the remainder of the order, with Stephen Parry the pick of the bowlers with figures of 3 for 54 from his 18 overs. The champions finished their innings on 520 all out, sealing a big first innings lead of 245 runs. 💪 MCC's skipper, @StuartBroad8 with another fine catch off the bowling of @SDParry86. The opening fixture of the 2019 domestic season was at risk of being over rather swiftly, but MCC fought hard to get themselves back into the encounter via an impressive opening stand. Rhodes and Sibley battled through the middle session to head into the tea interval on 120 without loss. After the break they continued where they left off, adding a further 69 runs to their total before Rhodes was dismissed twelve runs shy of his century, bowled by Scott Borthwick. 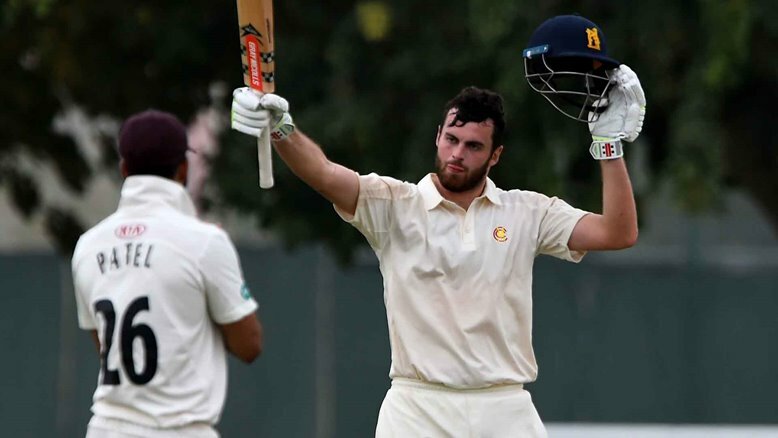 Sibley was joined at the crease by Tom Westley and the pair continued to eat into the deficit, with the former moving past three figures to notch up his fourth century in his last four first-class matches, dating back to the end of last season. At stumps, MCC were sitting just 34 runs behind Surrey and will head into the final day on 221 for 1. For full-match highlights and scorecards from the Champion County fixture, please click below.